Imogen expected to be overwhelmed by life in Shanghai but says pushing herself out of her comfort zone is the best thing she's done. I'm a student at the University of Otago, studying Chinese and politics and I chose to go on a university-approved exchange to Shanghai's Fudan University to help improve my knowledge of China. I love the thrill of learning something entirely different from English, and immersing myself in China gave me better access to both the language and the culture. I've never really viewed myself as an overly confident person, and I honestly believed the exchange would be littered with tearful calls home. However, I really surprised myself with how easily and quickly I adapted. I'm not saying there weren't tears - I was forbidden to touch any fluffy animals because of the small risk of rabies which was pretty heart-breaking - but the experience was more than worth it. The rewards of being on exchange, apart from immersing yourself in the language and having to constantly use it to get anything done, is the massive lift in confidence. In Dunedin, I was embarrassed to speak in Chinese to the lovely staff at a local Chinese restaurant, yet in China I was forced to get over that as English isn't widely spoken there. So many times I would go up to complete strangers asking with desperation in my eyes where McDonalds was - western food cravings will happen, it's inevitable. In short, I'm no longer concerned with the notion that I'll make a fool of myself as of course I'm going to, I'm still learning. The only way I can improve is by constantly making mistakes. No-one from my university was stationed in Fudan at the same time as me, which was actually quite good as it meant that from the start, I needed to socialise. During the exchange, I met the most amazing group of people. The new international connections I made extended from America, Philippines, Finland and closer to home in Australia. I'd been hoping to forge more connections in China and also soak in the different culture, and I was pleasantly surprised by the access to other cultures I had as well. For instance, I learnt from my Finnish source that they must be permanently on the naughty list as even with Santa apparently living in Finland they still happily eat his reindeers. Thanks to being a lucky recipient of the Prime Minister's Scholarship for Asia, I was included in many New Zealand events in which I was able to soak up some lovely Kiwi moments. For instance, I attended the ANZAC Day dawn ceremony in Shanghai, shoulder-to-shoulder with fellow Kiwis and Australians. After the moving ceremony we were treated to a sausage sizzle which was lovely as I had been craving some New Zealand cuisines. 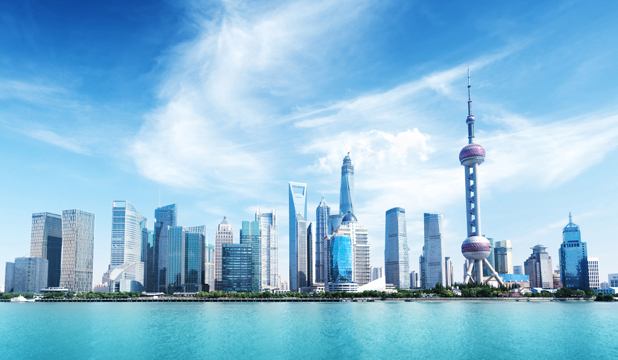 Coming from New Zealand, with a population of four-and-a-half million, to Shanghai, with a 24 million-strong population, I was expecting it to be fairly overwhelming. I would describe myself as a bit of a hermit, so close contact with a massive amount of people isn't something I was looking forward to. However, I came to realise that the massive crowds did in fact create their own level of anonymity, and pushing myself out of my comfort zone was frankly, the best thing I've done. My favourite pastimes became exploring Shanghai and further afield to Suzhou, Xi'an, Nanjing and Beijing, which gave me many chances to practice my fledgling Chinese. Most people were very helpful and, once they figured out what I was trying to say, would happily repeat it back to me until they were satisfied with my pronunciation. Sometimes I had days where I felt like a language master who could do no wrong, then very often I'd have days where I'd even muck up my English, let alone my Chinese. But practice makes perfect so I kept on trying. In conclusion, I loved my semester abroad and would recommend such an experience to everyone. The increased confidence, better language skills and many friends I made helped make it the most rewarding experience I've ever had.